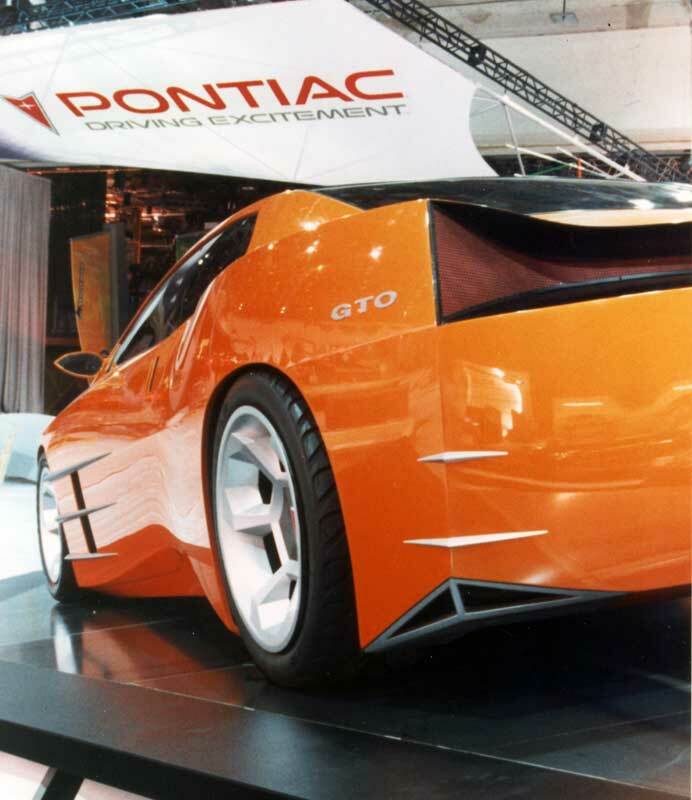 The GTO Concept was created in the fall of 1998 in only three or four months. 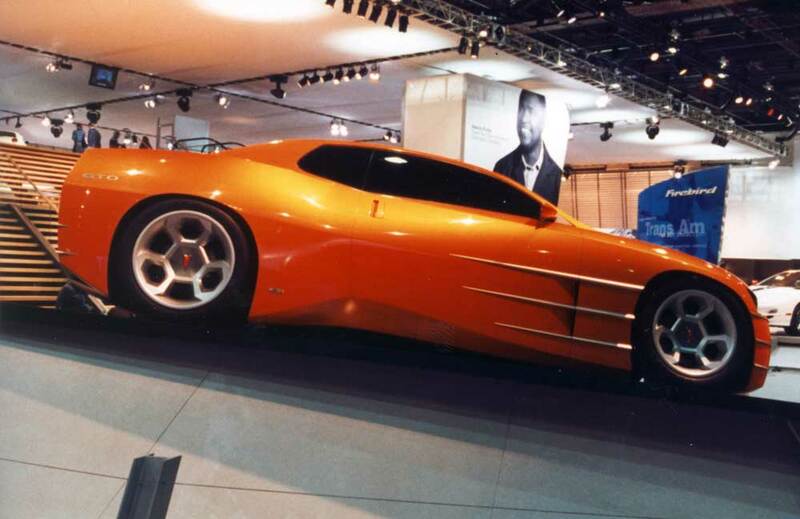 It was done when Brian Baker had the Advanced Design Group, during the time when Wayne Cherry wanted to explore designs 15 years into the future. Wayne Cherry also wanted all of the brands to have their own identity. They made brand character models for each brand and after that the designer could only use those ques that related to a certain brand. 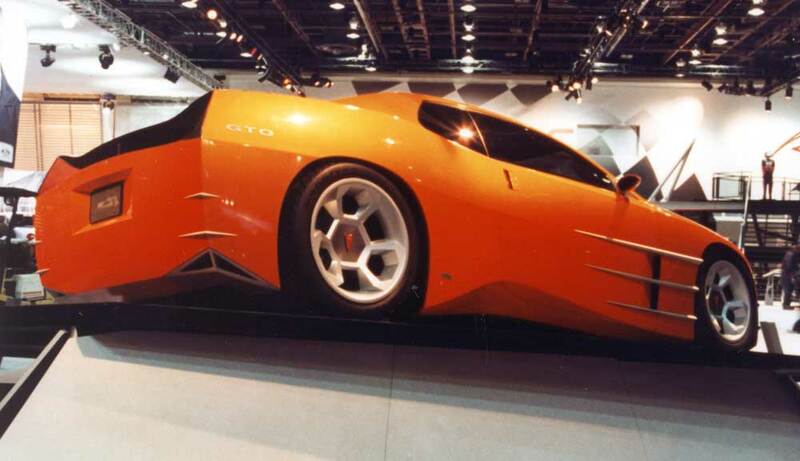 The GTO’s designer was Jay Bernard. 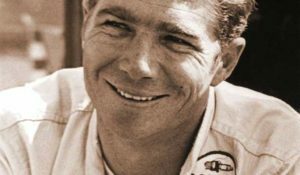 When they had a press conference about the car, he remarked that at the start of the program he had never heard of a GTO. So they brought in a sculptor old enough to not only know what a GTO was, but also actually had one. 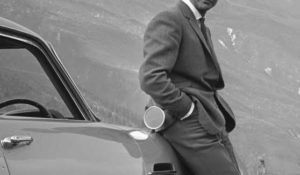 He worked with Jay through the design process, and among other responsibilities was supposed to also make sure it came out looking like a GTO. His influence was negligible. 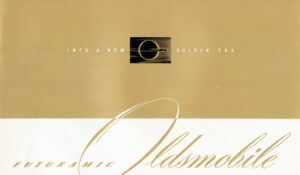 Jerry Palmer had the most direction in the design. Ben Salvador and Glen Durmisevich were also in that group. Another designer that had input in the GTO was Jim Brinkerhoff. A foam pushmobile was made and it ended up at a few car shows around the country, including the Detroit Auto Show. Then it disappeared. 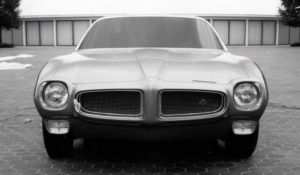 The GTO Concept exterior was one of the first all-math models. The interior only existed as sketches. It was milled in foam, not clay. No room for mistakes. 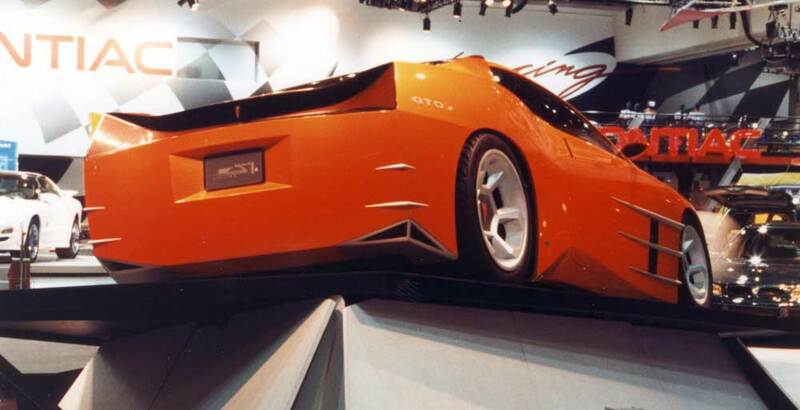 The GTO at the 1999 Detroit Auto Show. 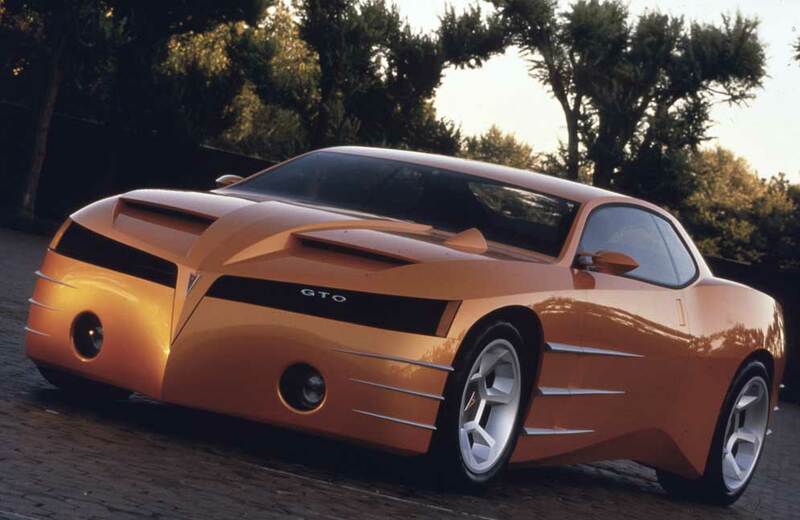 The 1999 GTO was inspired by our work to find design legends within each brand that would maximize the differences between them. 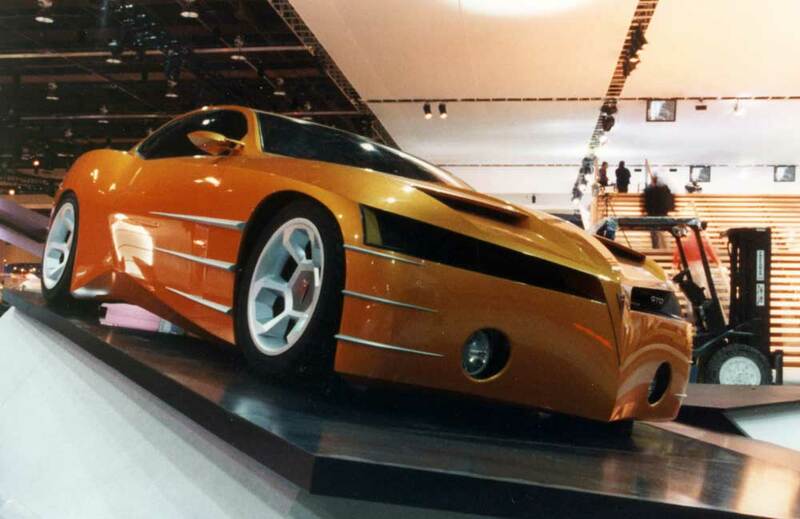 Kip Wasenko had done a smooth F car like concept with the GTO brand on it a few years before. This helped keep the GTO name in our heads. We wanted to capture the coke bottle Shape that Jack Humbert, Bill Porter and their team had created for the 1968 model. At the same time the wide track look and diagonal mesh that the 1967 GTO had was important too. Jay Bernard did a sketch that captured Jerry Palmer’s eye and the sheer look that made it look fresh. We struggled with details like the peaked hood tach and how to put just a hint of the Pontiac “ribs” without the “armco barrier” look some Pontiacs had at the time. John Mack had done some terrific illustrations for Pontiac cross overs that I think helped lead us to this design. The input of Jeff Deninson should not be lost in this story. Jeff is more Pontiac than Chief Pontiac was. 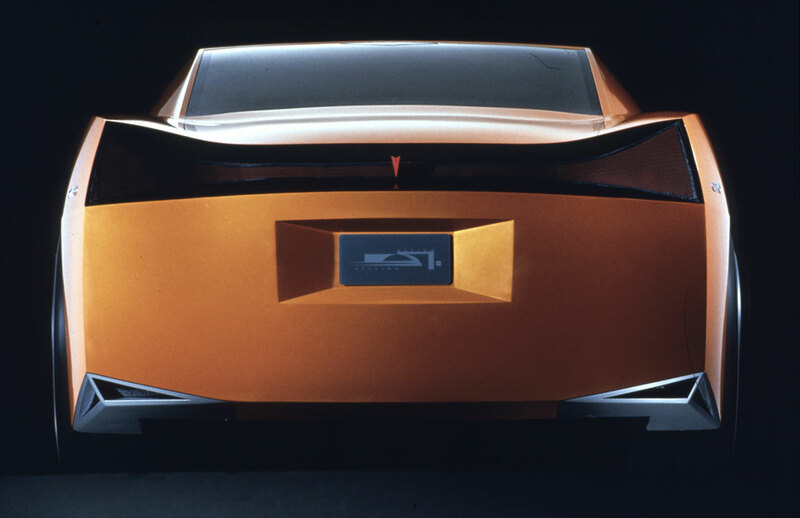 His historical input helped young designers like Jay Bernard understand the GTO concept. We did the model as part of an internal show for the 1998 Board of Directors annual review at Design. It was never intended for public review. 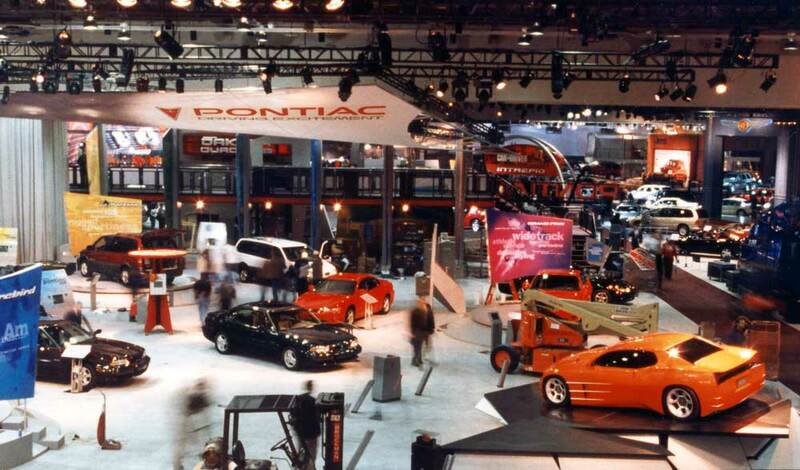 It was displayed inside the Design Dome and was so well received that we were asked to rush it onto the Pontiac stand for the 1999 NAIAS in Detroit. We quickly added real driving lamps, metal mesh, and enough detail that it could pass for a roller. I recall ordering the custom tires for the concept, I went for the tire that was wider than a Viper (355 35’s as I recall) The bright orange owed it’s basic hue to the Carousel Red that most GTO Judges were painted. I recall that we considered reviving the Judge name but only went so far as to do a photo shoot on the patio with an Orange 69 Judge for comparison. This photo was later masterfully photo shopped into a setting in front of the legendary Vincetta garage on Woodward Ave. The follow up to this concept was that when Bob Lutz rejoined GM a few months later, a group that included those named in the article above plus Brad Palmer, David Macintosh, Jeff Denninson, ride and handling guru Mark Stielo and I got together to put on video a roundtable discussion for Bob. We made a case for making the planned Australian based GTO a real GTO with things like dual hood scoops and quad exhaust. 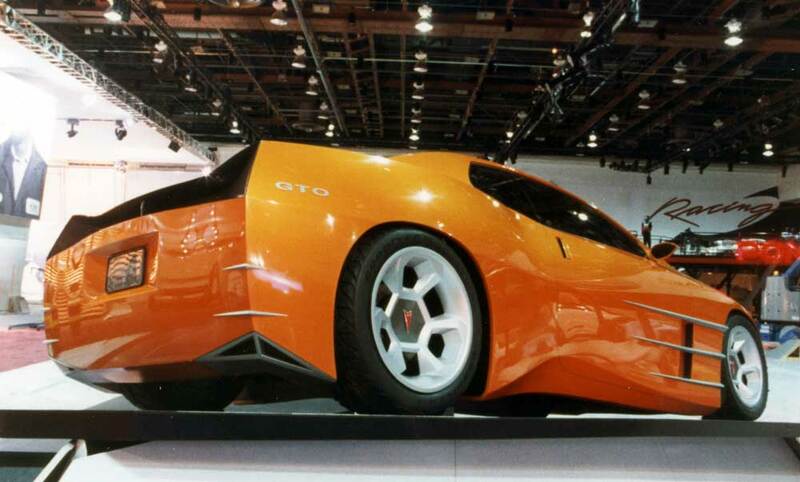 We pleaded for him to support the look of our concept or a least the real GTO visual cues to make it worthy. Before the GTO went to rest again, many of our thoughts were finally incorporated. 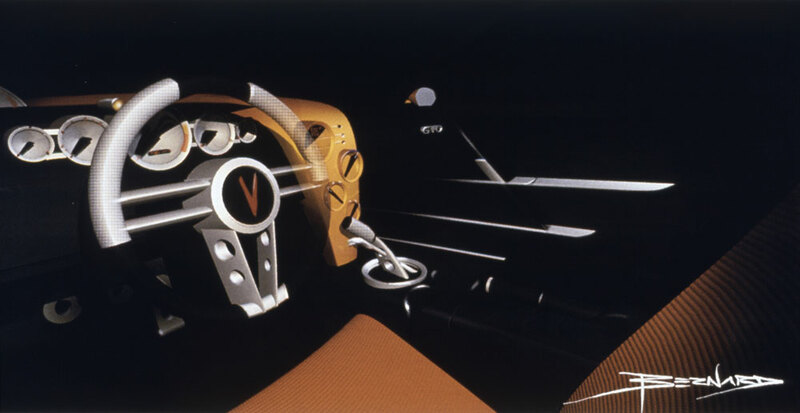 Makes you think; had Wayne Cherry been given support to make this concept, the Nomad revival, and F Car concepts part of a rear wheel drive platform strategy that he proposed to the corporation, could we still be enjoying new Pontiacs today? Thanks for recalling a great memory. 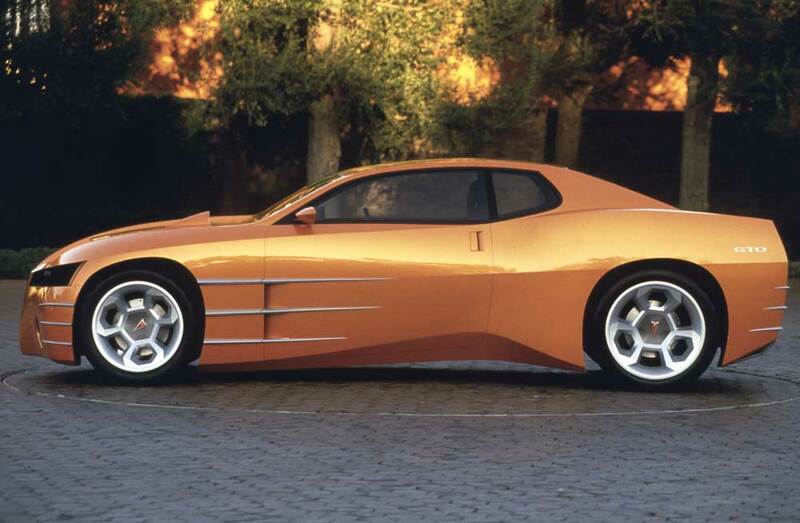 Great article, this has always been one of my favorite concept’s from the 90’s. This was so far beyond anything else at the time, and it’s minimalistic approach keeps it looking fresh even today. Do any sketches exist from this project, i’d love to see them. Great post! Just a bit of clarification on this foam model build. It wasn’t all digital. 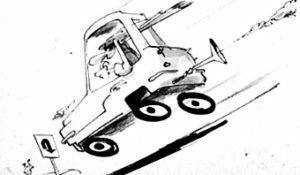 When I went back to Detroit in 1998 (I lived in and my company was located in Moorpark, Calif) looking for interesting projects to build, I did a short presentation to Larry Falloon about how we were building cars “really quickly”. Larry seemed only passively interested; after our discussion I visited with a few friends such as Tom Peters, John Mack, the guys in the CDC, and Tom Stone, then headed to the airport. Just as I was handing my bag to the handler at the curb, my cell phone rang. It was Don Genord asking if I was “still in town”. I grabbed my bag from the handler (slight tug-of-war) and replied to Don that I was still in DTW. He asked if we could meet for dinner; I replied sure, so we met a few hours later. At dinner, he said that he had heard from Larry that I was building cars “really quickly” and could I build a couple of full-size foam models for the upcoming Board of Directors show? Me, being one to take on a challenge, said “Sure, when do you need them?” He replied “Next month”. Okay, I thought, my guys can get that done, so I asked what he had for data models. He said that he had a couple of Alias surface models just about ready to go. “Okay, fine” was about my response. Next day I show up at Design Staff…er…whatever the name of that place was back then, and pop in to the CDC to see what they have. I remember the Cadillac model as a surface model, the Open Air as a surface model as well, and now a third model that I was to consider but it was a 1/3rd scale, no data. Okay, no prob. I take all three on as a task and head back to California. Just after landing in Cali, I get a call from Don who asks “Can you do a fourth model?” I ask what data is available? His response was “None, but we have half of a 1/3rd scale clay, how do we get that to you?” I said that he didn’t need to get the physical model to me, he just needed to have the model shipped over to Mike and Spike at Steinbichler USA in Novi, MI (who I’d been working with developing scanned-model-to-CNC-cars) who could scan the model and send the scan to me on CD, I’ll take care of the rest. He did, we got the CD a couple of days later, and in 3 1/2 weeks we built and shipped 4 full size CNC’d foam see-through upper painted models in time for the show. So, the car was clay up until 3 weeks prior to us delivering the finished model, machined from a 1,000,000 polygon digital mesh. I went back to GM about a month after the BoD show to see if I could get GM to let me build a running car from the GTO we did (I liked it), but Larry Falloon didn’t want to talk about it. Tried to get Jerry Palmer to help to make it happen (he was behind it too) but he couldn’t get Larry to budge. Wonder how that runner would have gone over….? 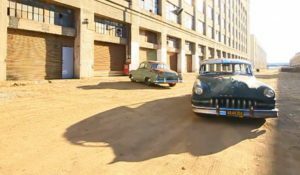 Anyway, the scale was a clay; the full-size foamie was done from a polygon mesh that was the result of a white-light scan; we did 4 cars in 3.5 weeks; my last push was 84 hours straight no sleep, I promised myself I’d never do it again, and so far, I haven’t! This was a disappointment when it was decided not to produce it. It was so modern and aggressive, and looked strictly business. It eats at me, that so much of this design translated into the current Camaro body design.